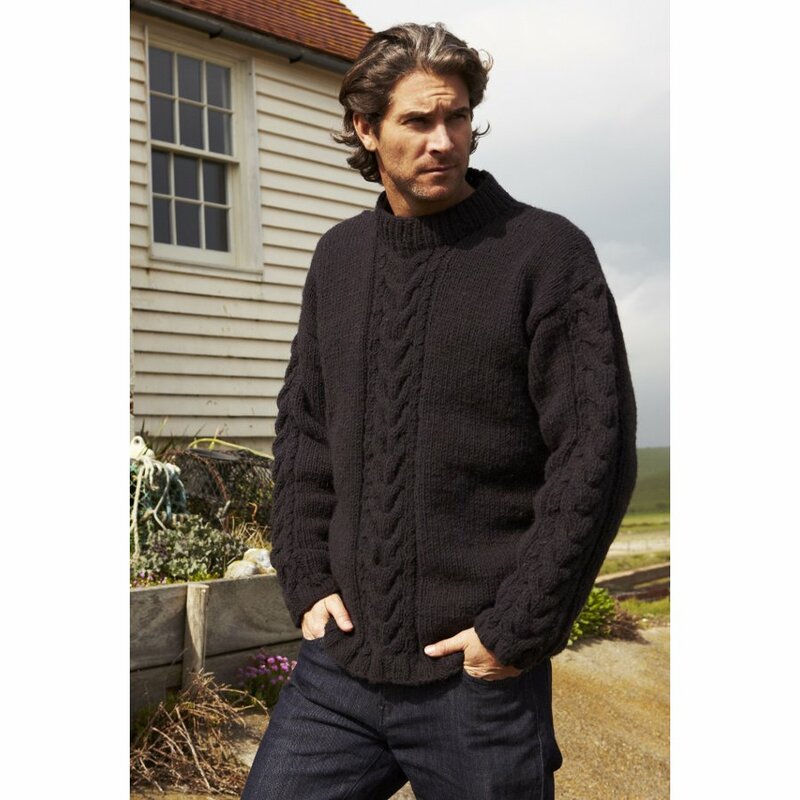 A plain hand knitted pullover jumper from Pachamama, ethically made to fair trade standards. 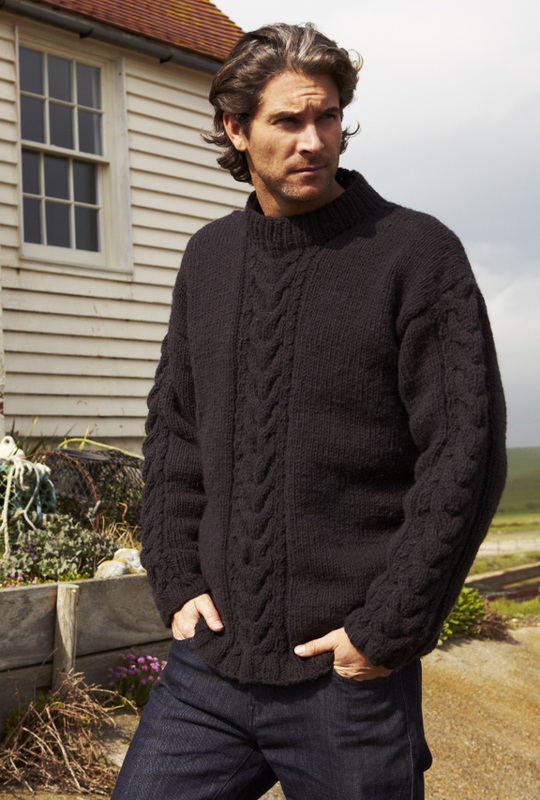 The chunky knit jumper is unlined and features a simple pattern, creating both a stylish and cosy piece, perfect over a t-shirt on colder days. 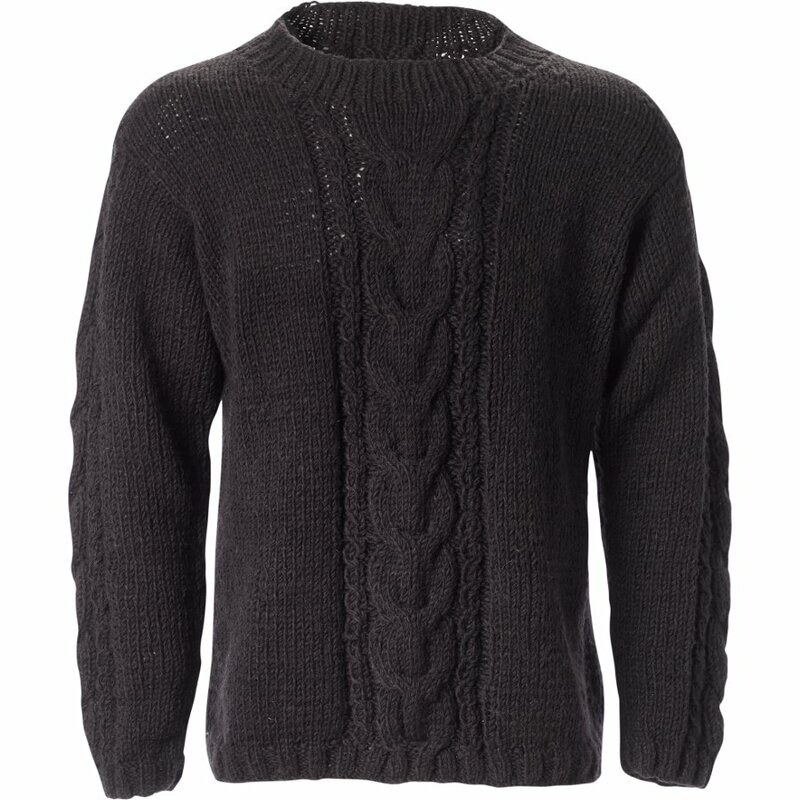 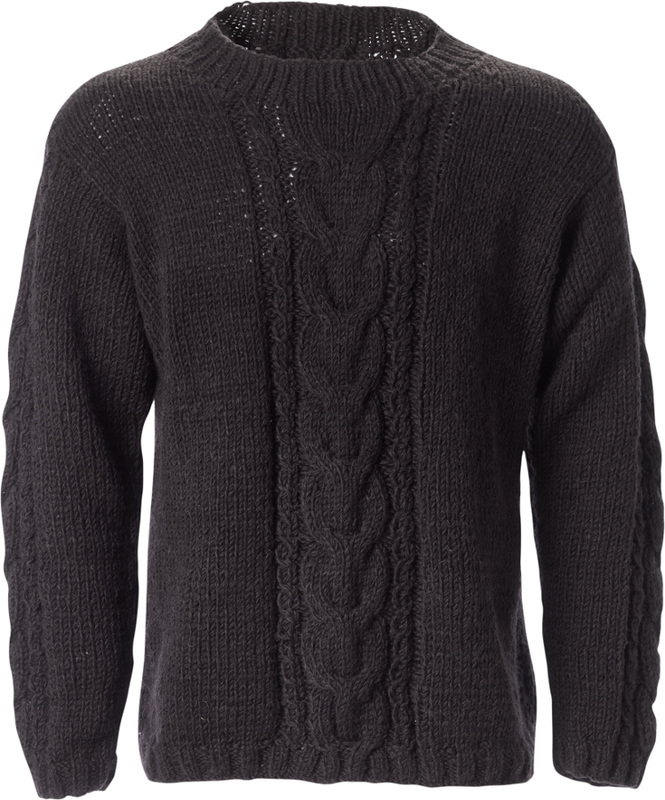 There are currently no questions to display about Mens Zermatt Sweater - Charcoal.